For the longest time, manual counting of cash was the only ways that businesses could rely on. Apart from being ineffective, the process is also time-consuming and frustrating if you have tons of money to sort and count. However, technology has made it possible for businesses and individual to count and sort money with a lot of ease. 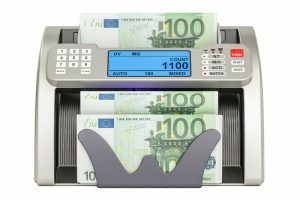 The level of productivity in the business will be improved significantly with a banknote sorter. That is because most of the time that was used for counting and sorting money will be reduced to almost zero. That means this time can be directed to productive activities in the business and hence the increased productivity. For cases such as banks, they can serve more customers, and that increases profits and overall growth. Manual counting is very inefficient and leaves room for human errors. It is possible for the person counting to mistaken make an error in calculation. The impact will be huge to the business since everyone else will be an error. It is such inefficiencies that are being eradicated by the coming of banknote sorter. These machines offer the highest level of accuracy in counting cash. It easily separates the different denominations and gives a count of each batch. Therefore, the possibility of such errors occurring is equal to zero. One of the biggest threats to the business that deals with cash are not counting errors but the counterfeits. It is very easy to have fake money sneaking into your business if you are not careful. Most of the banknote sorter machine in the market are also detecting fake currency. That will protect you from losses that are incurred. As a result of fake currency. Note that any amount of fame money that is accepted into your business is a loss. You will also be able to identify half notes and double notes. These are just a few of the benefits that business enjoys by having an efficient banknote sorter. In short, they will make running the business easy and safe. They will enhance the performance and productivity of the business like never before. This entry was posted in Blog by rimrock. Bookmark the permalink.